At this time we are currently booked for 2019. If you would like to be added to a wait list in case there is a cancelation, please follow the directions below. If you are planning a wedding for 2020, we suggest to get your order in sooner rather than later. Thank you! No two weddings will ever be the same which is why we take the time to get to know our couples in order to understand their wedding day vision. Once we receive this information we will contact you as soon as possible with a tasting date and possible price quote. Once you send us the preliminary information and have availability for your wedding date we will schedule an appointment to discuss and finalize your details. Due to the time constraints and deadlines we face, we do offer a limited amount of sit down tasting appointments and sit down consultation appointments. If you are serving less than 100 guests we would not be available for sit down appointments or delivery. 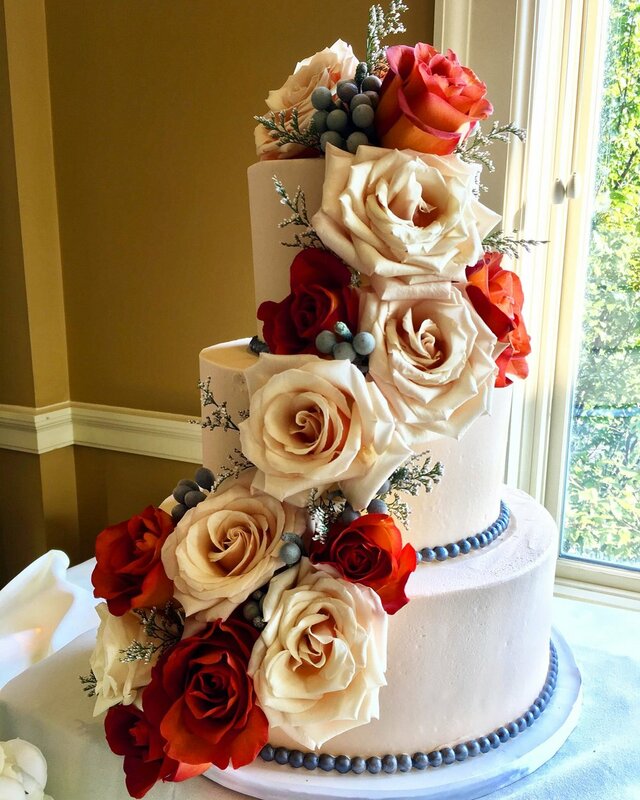 The appointments will generally take 30- 60 minutes where you will meet with our in house designated Wedding Cake Coordinator who will remain as your contact throughout the entire process. VSB is known for having innovative flavors that set themselves apart from other bakeries. Tasting appointments are $25 per couple. We ask that you only include representatives that are involved in the decision process as we do not want the couples to be deterred from their visions, design, or style. When additional opinions are involved, this can take away form the overall process. For those couples that always seem to have a jam-packed weekday/weekend, we also offer a take home tasting for couples to enjoy at home. From there, through phone calls and emails, we can then solidify your design and flavor choices. A credit card is needed at the time of schedule for your appointment to reserve your date. If you fail to keep your appointment and do not call us within 48 hours to cancel you will be charged the $25 which cannot be used as a credit for a different date or time. Keep in mind we are turning away other appointments so please let us know in advance if you will need to reschedule as this will provide our Wedding Coordinator to reach out to other couples that are waiting for an appointment. We always suggest to send an email of give us a call to start the process! Planning can take anywhere from 3months - 12+months. Since we are partnered with multiple venues some dates may be booked in advance which is why we always suggest to start the planning sooner than later!